Home / Celebrity gists / Stevie Wonder throws “Swaggy 16th” birthday bash for his son, featuring concert by Travis Scott & tons of weed! 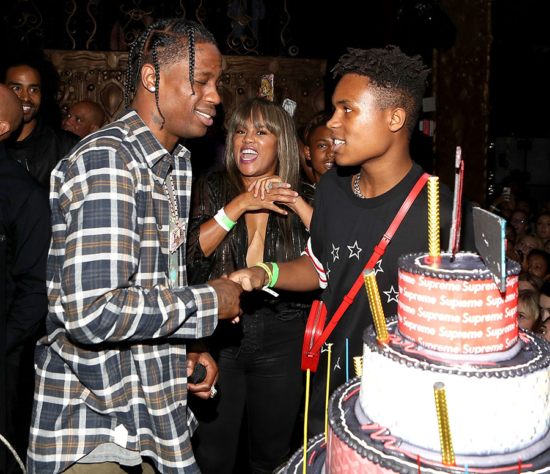 Stevie Wonder throws “Swaggy 16th” birthday bash for his son, featuring concert by Travis Scott & tons of weed! When your daddy is super rich, you get a concert by one of your favorite rappers and as much weed as your friends can smoke! Rapper Travis Scott, left, performed at Kailand Morris‘s “Swaggy 16th” birthday party at Belasco Theatre on Saturday in Los Angeles. the “Happy Birthday” song. Pictured left-to-right are Kailand’s mom Kai Milla Morris, Kailand’s 12-year-old brother Mandla Kadjay Carl Stevland Morris, Stevie and Kailand. Stevie and Kailand’s mother divorced in 2015 after 14 years of marriage. 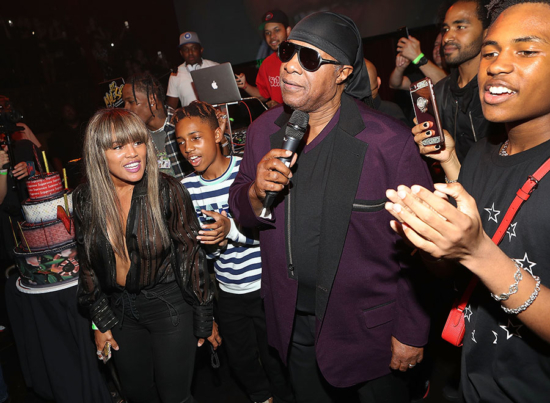 The dress code was strictly “all black everything,” and Stevie presented his son with a brand new $150,000 Mercedes Benz SUV. 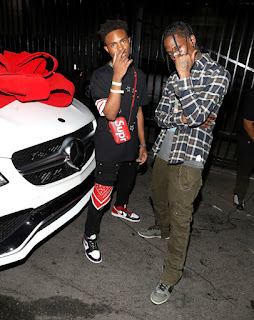 Celebrity kids on the guest list included Toni Braxton‘s son Diezel, 14, and rocker Travis Barker‘s kids, son Landon, 13, and daughter Alabama Luella Barker, 11.
via TheBlast.com — The giveaways were progressive and delicious, Morris was giving out mock weed candy called “Koko Nuggz,” a THC-free gourmet chocolate shaped like cannabis buds. Even Stevie got down on nibbling some chocolate nugs. A host of celebs were in the house including Travis Barker, and Kai Milla Morris.